If you are a member of a group or organization that relies on fundraising efforts to help with community outreach programs and charitable contributions, look no further than to Rural Route 1 for the most “sellable” commodities available. With a proven track record of unlimited success, you’ll be sure to reach your goal, and even surpass it...it’s all up to you. The sky’s the limit! With Rural Route 1 popcorn, you have many options from which to choose for your organization to sell to the public, and every type, every flavor has been proven to be among the most popular favorites of the majority of people. This means you’ll be able to sell every bit of the product you order, whether it’s an array of different delicious sweet and savory flavors of ready-to eat popcorn, microwaveable popcorn packets or attractive tins chock full of crisp and fresh peanuts. You can be assured that any products you buy from Rural Route 1 will be not only delicious, but they’ll deliver the freshness that can’t be artificially produced. Top quality packaging ensures that every product available through Rural Route 1 will be taste, feel and look just as fresh as any freshly-prepared selection could. 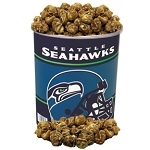 While there are many choices for items and products available for clubs and organizations to sell for fundraising aspirations, there are none that can outsell a palate-pleasing array of deliciously flavored popcorn and peanuts, in terms of widespread popularity with the majority of people. And the unique packaging of all these delightful snacks ensures that every bit of their freshness is retained, so selling in quantities is not an issue, as they store very well at room temperature... that is, if any of them are left unconsumed, which is doubtful.